Inspired Styles for 2015 | Adventures In Styleland! 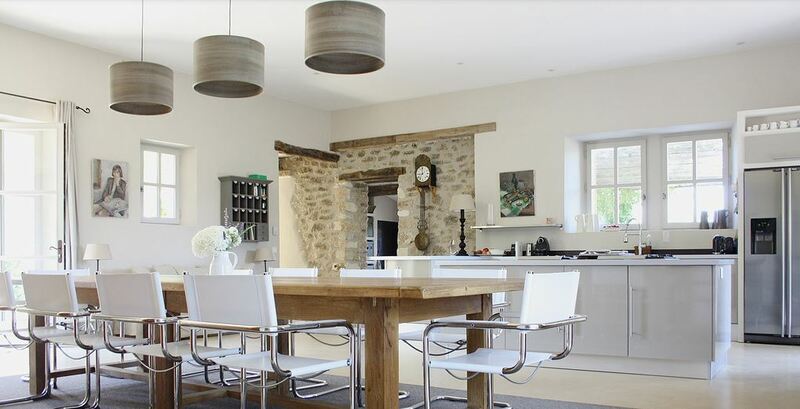 From the Rustic Barn Revival to tried and true traditional interiors, I’ve decided to take us on a cruise through some beautiful homes.. Paint colors seem to still be in the neutral pallet, while the glamorous mirrored furnishings stand strong in transitional spaces. The rustic statement returns with the HGTV Series Fixer Upper with Joanna and Chip Gaines. The popularity of this series is very prevalent in design right now. Lets get started!! 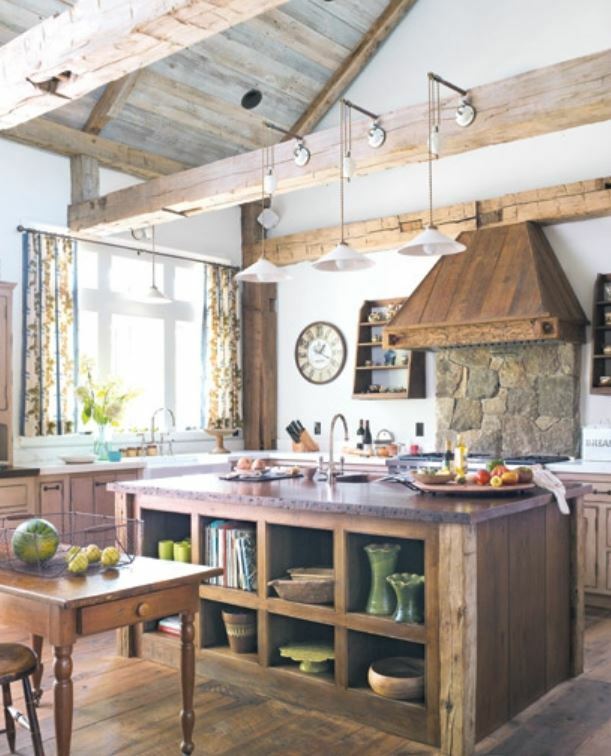 Reconditioned barn-siding floors ground this Rustic kitchen, where the island is crafted from similar materials. 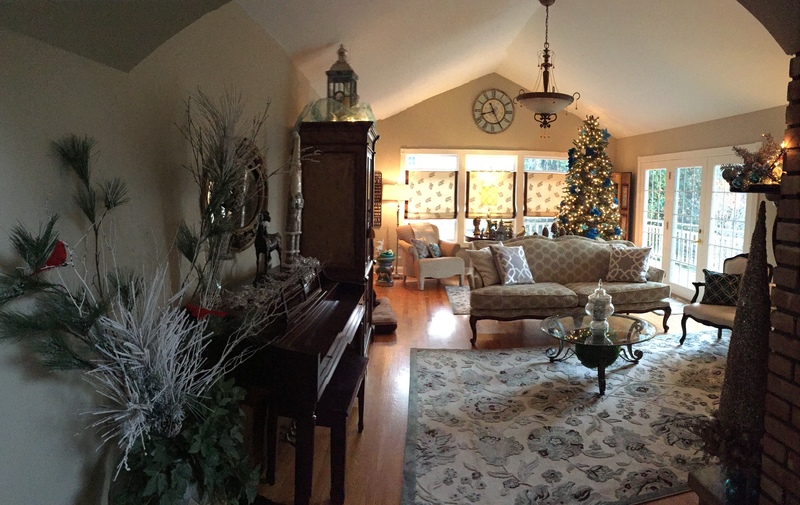 This gorgeous Farm House is in Ghent NY, near where we live. 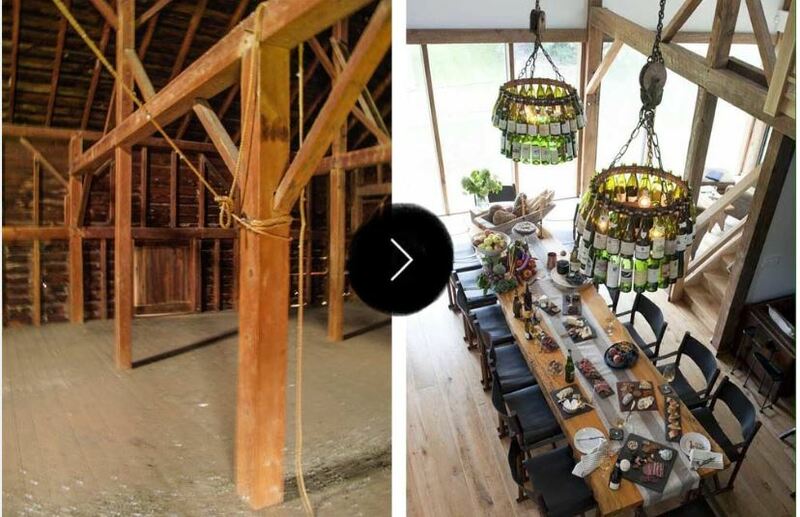 The transformation was nothing short of a Wondrous.. loved the Wine bottle chandeliers, and the length of the farm table. Family Friendly Living Room, Comfy sectional’s are back! Lets Talk shall we?? 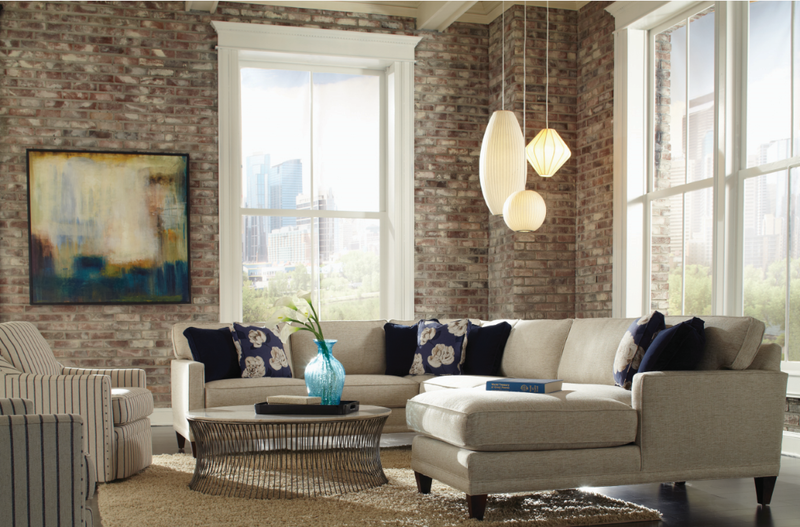 Sectional ‘s the stuff family rooms circa 1987 were made of, but they are back in a big way! Living rooms have become more relaxed places where our families live, we have less need for formal sofas and more use of a place to gather together, lounge and play. This sectional, dressed in elegant tan linen upholstery, invites us to grab a warm throw and a good book or game. 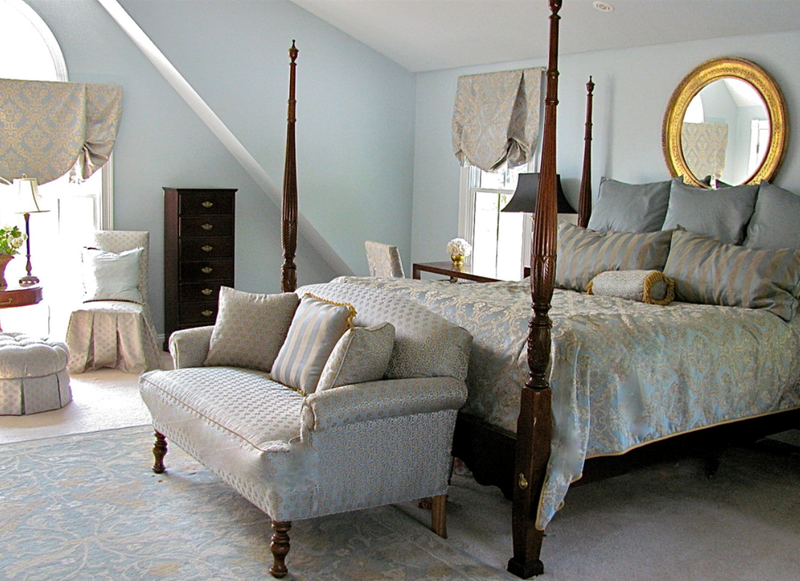 Paint colors, Traditionally, blue has been a calming color. We think people like the idea of cozying up in the hues of the deepest sea. Blues both light and darker continue to be used in design, as well as the tans and greys.. see below. The curved sofa adds an architectural element to this space, with pops of blue the neutral pallet resonates with warmth..
Blending the Rustic elements with more modern furnishings, is a popular look. By pairing two things that don’t seem to go together, you are actually emphasizing the best qualities of both.